MADISON BIKE BLOG: Is It Unreal To Ride a Bicycle or to Want to Ride a Bicycle Instead of Drive a Car? Is It Unreal To Ride a Bicycle or to Want to Ride a Bicycle Instead of Drive a Car? Madison, Wisconsin is known as a city friendly towards bicyclists. In a past case handled by Attorney Griessmeyer, a lawyer hired by an insurance company made fun of Madison, WI and told the jury that Madison is a small area "surrounded by reality." 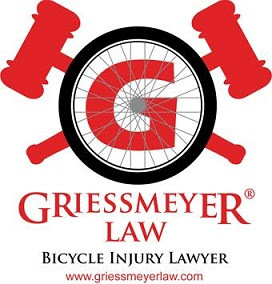 The lawyer suggested to jurors that people who ride bicycles think they are better than people who choose to drive motor vehicles and that people in Madison are crazy/don't live in reality. In a recent article in the Isthmus, reporters noted that one State Senator Fred Risser intends to ride 90 miles for his upcoming 90th birthday and has spent a large part of his life riding bicycles. What an amazing and admirable person. According to the article, Risser has served under 12 different governors 6 democrats and 6 republicans. Maybe a senator who is 90 years old and still is able to ride his bicycle 90 miles seems unreal to some people. I am happy to live in a place like Madison and happy to have people like Fred Risser representing my interests, even if lawyers who get paid by insurance companies to talk to juries claim this is unreal.